If you can’t beat iOS (s aapl) and Android (s goog) devices in the market, you might as well secure them. That seems to be the stance of Research In Motion (s rimm), which is launching a device-management and security service for IT departments called BlackBerry Mobile Fusion that builds off its BlackBerry Enterprise Servers. The move is a big step for RIM, bringing its strengths in corporate security to rival platforms through one product that can serve BlackBerry devices as well as smartphones and tablets running on operating systems from Apple and Google. It’s an important bid to remain relevant in a bring-your-own-device world in which many employees are coming to their IT departments with devices that are not BlackBerrys. RIM said it will also introduce a new self-service functionality for employees to secure lost or stolen BlackBerry smartphones and tablets. The company is now accepting customers into a closed beta program starting in January, with general availability to follow in March. This pits RIM against other device-management providers such as Good Technology, which has also enjoyed a lift from bring-your-own-device policies. And it builds off the May acquisition of Ubitexx, which at the time RIM said would pave the way for a multiplatform enterprise solution. RIM is obviously still going to compete hard to sell smartphones and tablets. And it may see a turnaround if it can start cranking out new smartphones on its new BBX platform, which will replace BlackBerry 7. The move to open up and manage other devices is a logical one at this point for RIM, which can trade on its reputation for mobility security. But it seems like RIM would not be as eager to try this move if it was seeing the same kind of dominance it used to have in the enterprise. If RIM can’t get its device sales going, this might be the consolation prize for the company: becoming a device manager, not a device seller for IT departments. 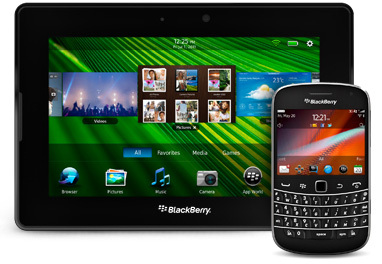 RT @TonyWillenberg: RIM offers device management for iOS andÂ Android http://t.co/5odTyE1Z -> and there is RIM’s comeback! RIM offers device management for iOS andÂ Android http://t.co/5odTyE1Z -> and there is RIM’s comeback!